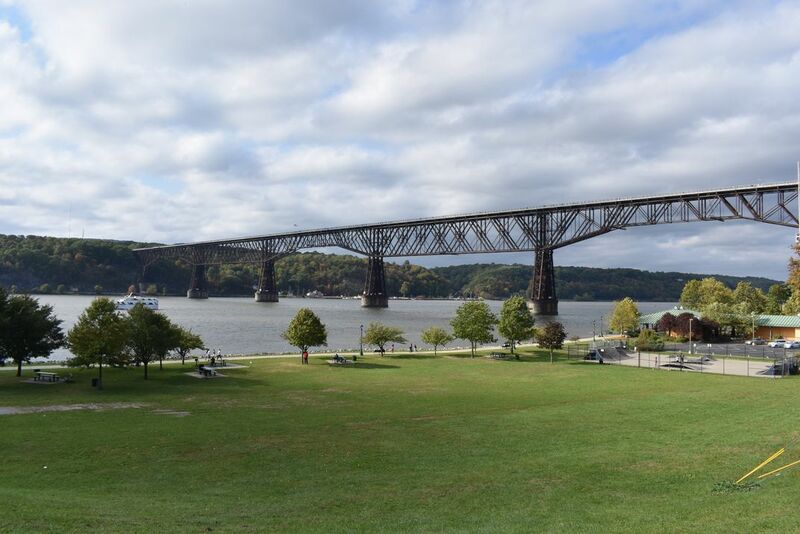 On an early Fall day in October of 2017, the Walkway Over the Hudson Pedestrian Bridge stands high above the Hudson River linking Poughkeepsie with Highland. There is some evidence of fall foliage. The Walkway Over the Hudson Bridge used to carry the New Haven Railroad over the Hudson River. Date Uploaded: Nov. 8, 2018, 9:19 p.m.